Please complete the form below and your enquiry will be sent directly to Easter Weekend @ De Hoop via email. Your enquiry has been sent to Easter Weekend @ De Hoop. - A Nature Quest, an enjoyable and educational treasure hunt where they get to solve riddles about nature that ultimately leads them to finding their own treasure. - The Marine walk (at low tide) where they will be fascinated by life on the rocky shores and in the secret pools of De Hoop Marine Reserve. They will have the opportunity to appreciate the sea-shells, starfish and other interesting marine life. An expert De Hoop guide will be on hand to share interesting facts about the marine life found on the shore. Order a delicious picnic basket to enjoy while sitting on the dunes! - In the evening, enjoy the exciting ‘Night Adventurer’ or Star Stories and Smores under the night. 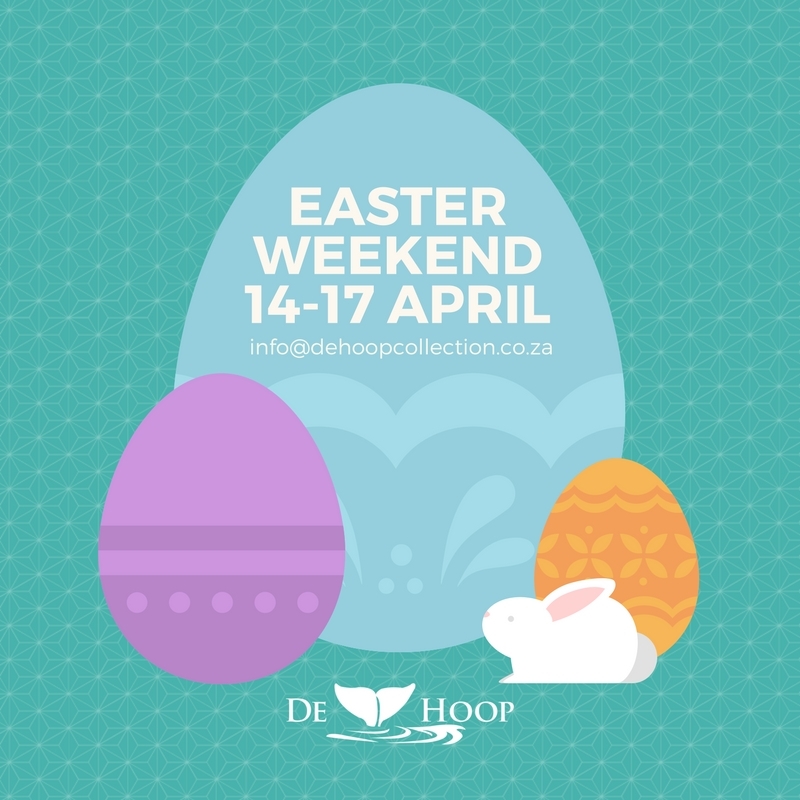 - Easter Sunday morning the Easter Bunny – followed by a delicious Easter brunch at the Fig Tree Restaurant. - Families can enjoy some quiet time walking around the magnificent reserve looking at birds and animals close up. With all this on offer together with scrumptious food and caring attentive staff, you are guaranteed a wonderful time. De Hoop Nature Reserve is a winner all the way and is definitely the ideal location to visit with your family!